“We” or “Us” or “Our”means Hillside Hair Clinic, a company whose registered address is Hillside Medical Centre, 162 Nottingham Road, Stapleford, Nottingham, NG9 8AR, United Kingdom. 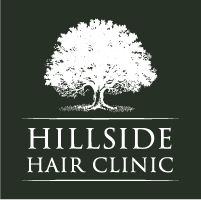 Our Site is owned and operated by Hillside Hair Clinic, whose registered address is Hillside Medical Centre, 162 Nottingham Road, Stapleford, Nottingham, NG9 8AR, United Kingdom. Our Data Protection Officer can be contacted by email at info@www.hillsidehairclinic.co.uk, by telephone on 0800 288 4085, or by post at: Hillside Medical Centre, 162 Nottingham Road, Stapleford, Nottingham, NG9 8AR, United Kingdom.